Swimmer Mack Horton is praising a fan who encouraged him to have a mole on his chest checked out. Horton, who won gold in the 400m freestyle in Rio, posted a message of thanks to his anonymous saviour on his Instagram account after having the mole cut out of his chest. “Shout out to the person that emailed the swim team doctor and told me to get my mole checked out. Good call. Very good call,” Horton wrote, bearing a bandage and the ‘thumbs up’ in the photograph. The mole was removed on Thursday in Melbourne. Horton shot to international prominence in Rio earlier this year following comments he made about 400m rival, Chinese swimmer Sun Yang. 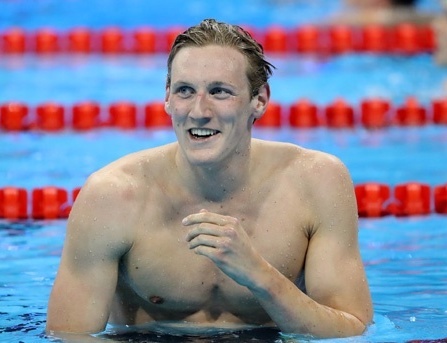 Speaking after his gold-medal-winning swim, Horton said he didn’t “have time or respect for drug cheats”, in reference to Sun who tested positive for the stimulant trimetazidine in 2014 earning a three-month ban. “I used the word ‘drug cheat’ because he tested positive,” Horton said at the time. Chinese fans were left furious by Horton’s comments and hounded the gold medallist on social media demanding he apologise to Sun. Horton is expected to compete at next month’s national short-course championships in Brisbane.